Christopher Paunil's Chic Looks are Timeless at TFW! 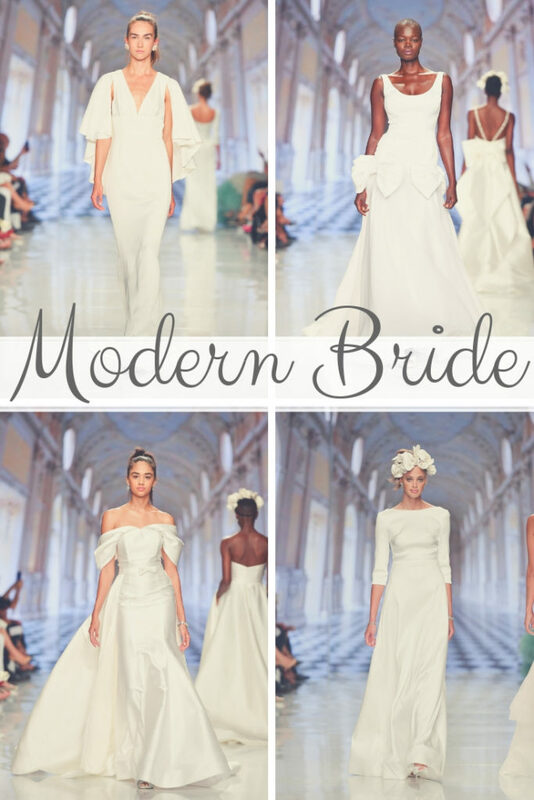 Christopher Paunil is known for his timeless, modern wedding gowns. 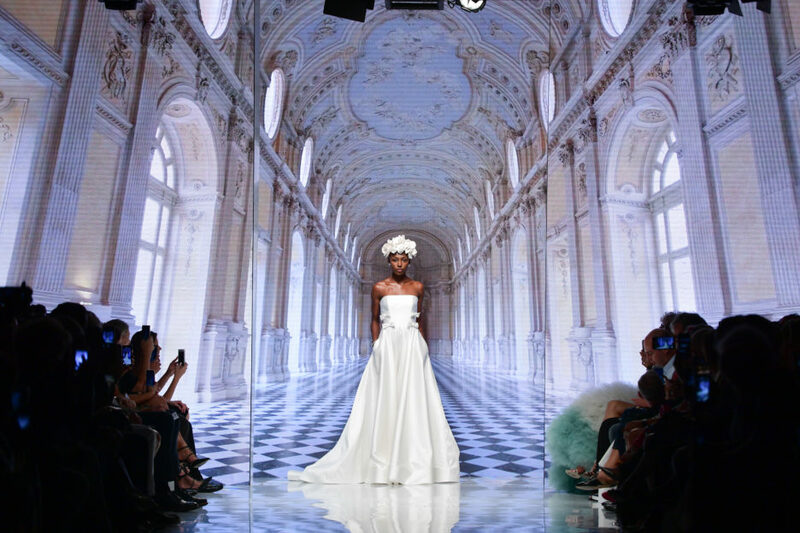 During Toronto Fashion Week, he showcases some of the most beautiful, sophisticated gowns down the runway, including bridal wear AND evening attire. Christopher Paunil’s chic looks are timeless at TFW. Gowns are for special occasions and are often for once in a lifetime acquisitions. Paunil’s gowns are for the woman who dresses to be seen in a classy and original way. For sophisticated women who love the idea of “one and done,” this jumpsuit is everything. 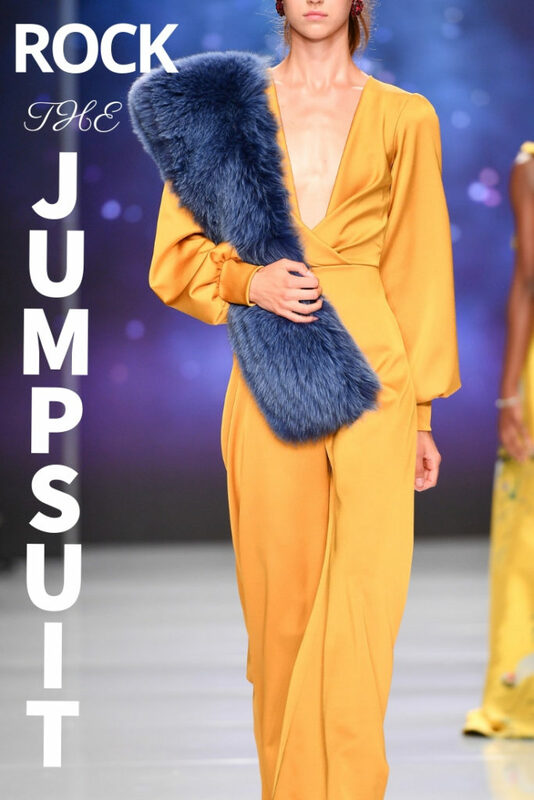 A jumpsuit in a golden hue, complemented with a stunning blue fur draped beautifully on the body is feminine yet bold. This sunset color palette adds vibrance to this chic and timeless outfit. Paunil’s gowns showcase a feminine silhouette concentrating on sleek tailoring. His gowns are Academy Award worthy! As the models cascade down the runway the gowns prove to be graceful in movement and colorful in hue. Paunil is not afraid to mix pattern, add a touch of fur or share his ability to create designs that appeal to a large crowd. Let’s face it, every bride wants to be a little different on her wedding day. And Paunil understands the complexities of finding that perfect wedding dress. He is known for personalizing gowns to suit the style and ideals of each bride. In his latest collection, his dresses prove to be original, classic and timeless. Paunil creates the magic that makes each bride feel that they are the center of the universe on their special day. Christopher Paunil, in collaboration with Herman Sellers-Gough Furs have integrated furs into the collection in a fun and innovative way. By adding fur sleeves with a criss cross back, you have a look that displays the elegance of a fur coat over an evening gown, without the hassle of actually wearing a fur coat. 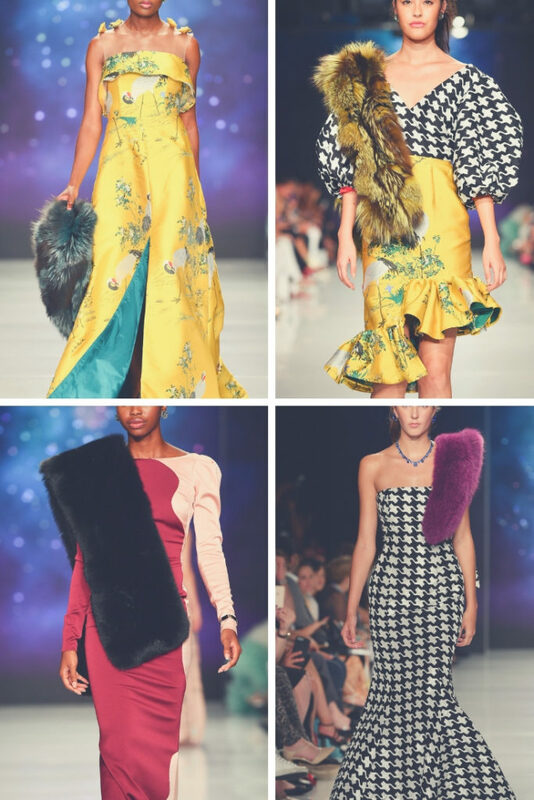 Hendrixroe’s TFW Fierce Innerbloom Collection Rocks! What Are You Wearing Underneath? Hilary MacMillan Showcases Ultra Wearable Pretty Clothes at TFW We are WILD about Animal Prints this season!